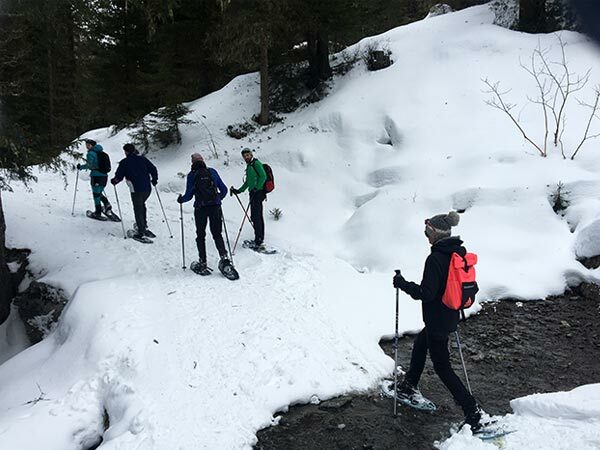 The snow-sure high Alpine plateau is considered an Eldorado for cross-country and Nordic skiing as well as for winter walking and snowshoe hiking. 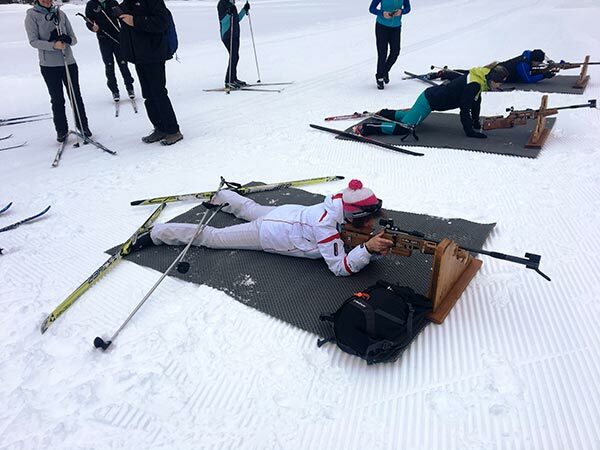 And recently also for taster biathlon units. The author has tested everything! Cross-country skiing? Boring and lame. An old boys activity. I can do it with my hands tied behind my back. 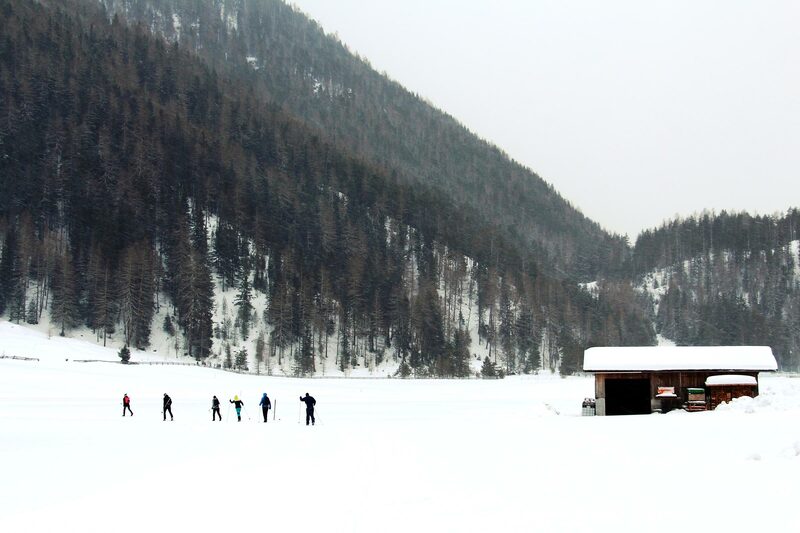 Carrying a rucksack full of prejudices, I head towards the sports rental shop to pick up the narrow skis and special shoes in the morning. 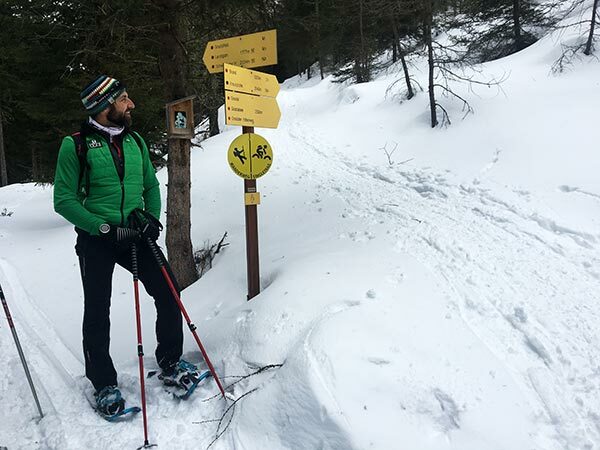 At first, our certified cross-country ski instructor Michael Leiter welcomes us: Mike is a really cool guy, 40 years old, wiry, dynamic, far from the old man’s image. He does not fit into the cliché we made. “Cross-country skiing has lost its dusty image,” explains Mike. 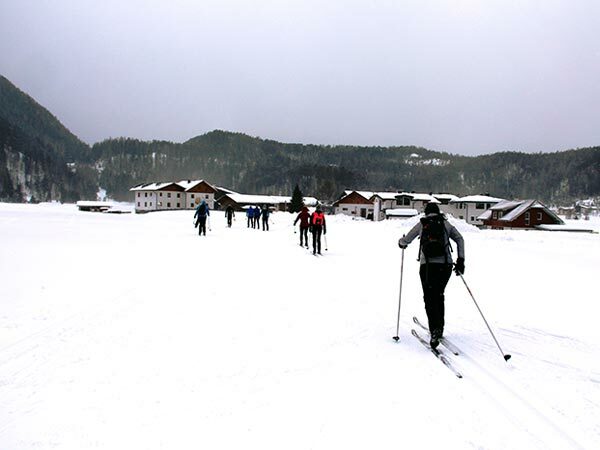 “Many hobby athletes and cyclists use cross-country skiing as endurance training. It’s much better for your fitness than skiing.” Indeed, skating on super narrow skis proves to be a real athletic challenge. So I try to slide on the left and right as long as possible, sometimes with and sometimes without using the poles. I follow the others as fast as I can, panting for breathe and I’m so glad that there is a fast lane on the groomed track so that the super-sprinters can overtake me. 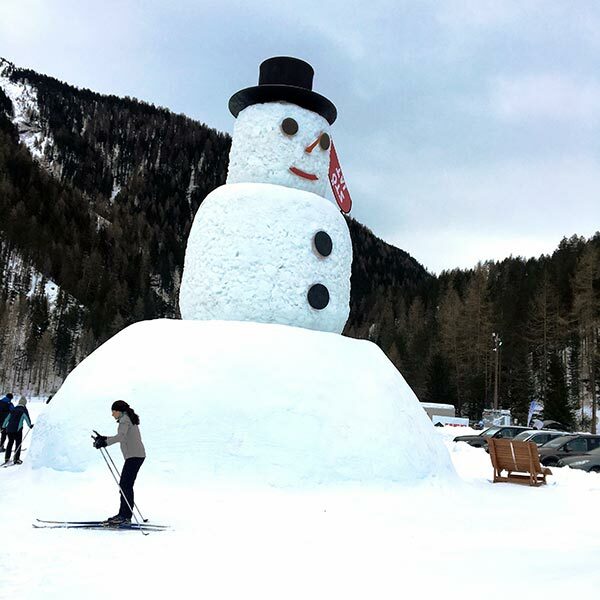 Circling around the Alpine plateau, we ski past Olaf again and again – the 12.5 m high snowman built by the Nordic Team on the snow playground. My ski jacket is definitely to warm. Although Mike has taught me that men use their physical strength and women take full advantage of their sporty techniques. 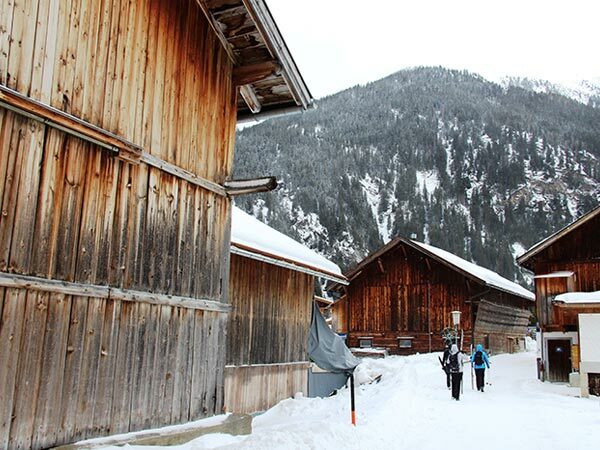 Due to the snow-sure Alpine location at 1550 m above sea level Niederthai promises ideal cross-country and Nordic skiing conditions on perfectly groomed high-altitude tracks from December to April – there are 31 kilometers in total. 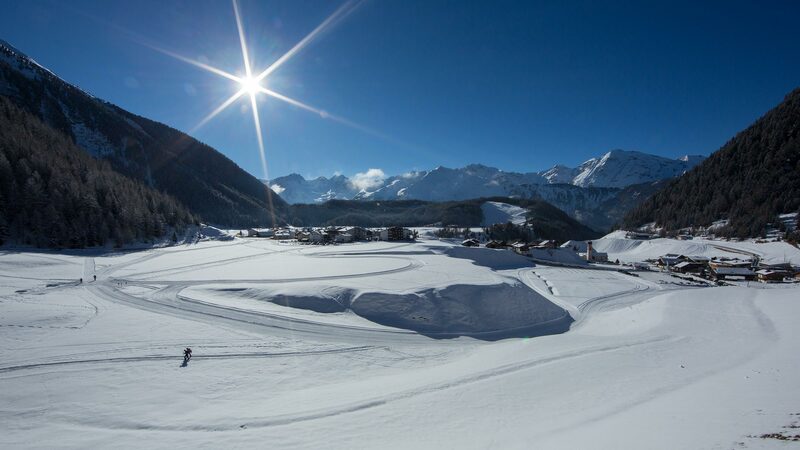 In contrast to many other winter sport regions, all tracks are freely accessible and suitable for both classic and skating style. And in case there is a lack of snow the Nordic tracks are always guaranteed thanks to artificial snow-making systems. 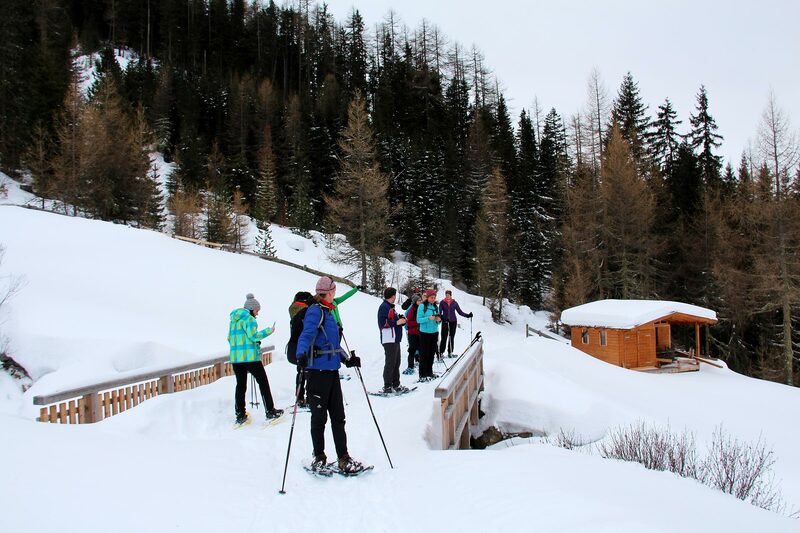 Not without reason Niederthai has been awarded the official Tirolean Nordic Track Quality Seal. 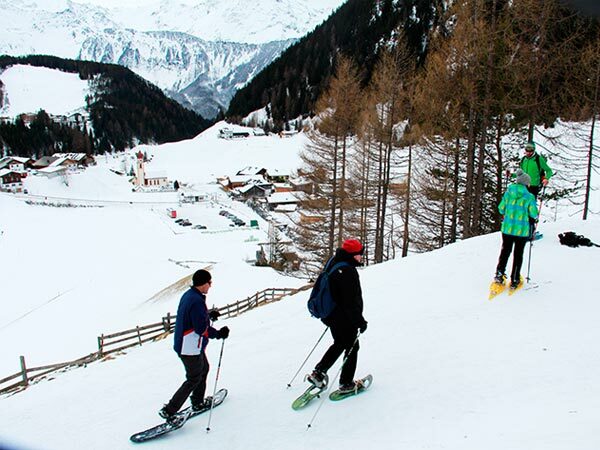 What’s more, Alpine skiers can use three lifts offering a total of four slope kilometers. Help – where is the brake? 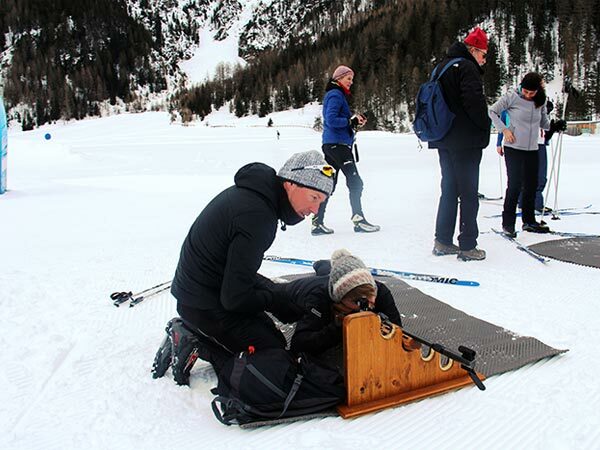 As soon as I glide rhythmically along the track, Mike and his colleague Gerd have already the next challenge for me: putting the skis in a V-shape, climbing a small hill and skiing down from its top. Including a slight turn halfway. But how can I manage it without fixed heels? How should I steer the skis, where is the brake? Panic! Fortunately there are heaps of freshly fallen snow on my left and right so that the free fall won’t be too hard. I climb the hill step by step. Miraculously, I am skiing down not too fast and I can handle it. 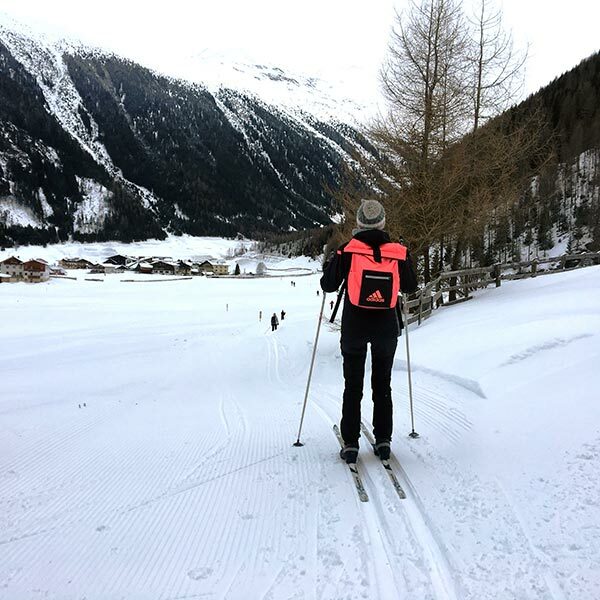 “Cross-country skiing adapts to any terrain,” Mike explains. 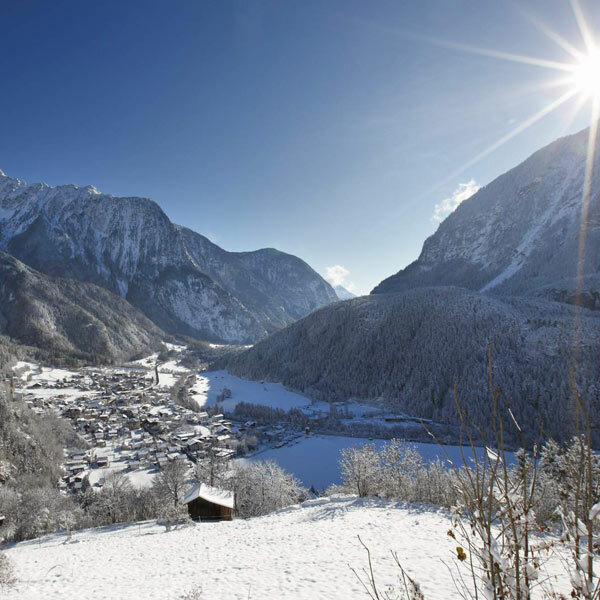 I take a deep breath and indulge in the awe-inspiring panorama: a dense forest in front of us, the sunny plateau and the groomed trails below, and Niederthai with its striking onion steeple behind us – focusing on the majestic mountains of the Ötztal and Stubai Alps with the 3288 m high Strahlkogel as tallest peak. Rear sight, front sight and target! There is not much time to look and think as skating and biathlon units are on the schedule right away. 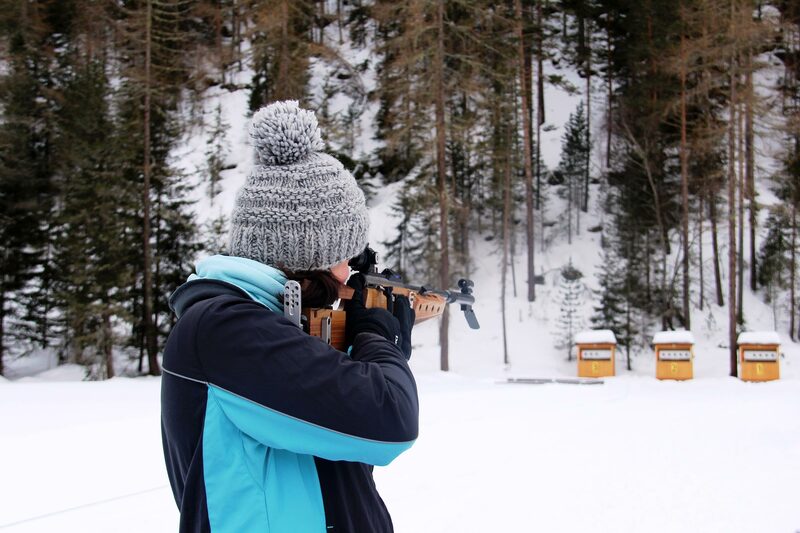 Taster biathlon lessons comprising air-rifle shooting for everyone (lying and standing) are offered twice a week in the new shooting arena that is managed by the Nordic Team. 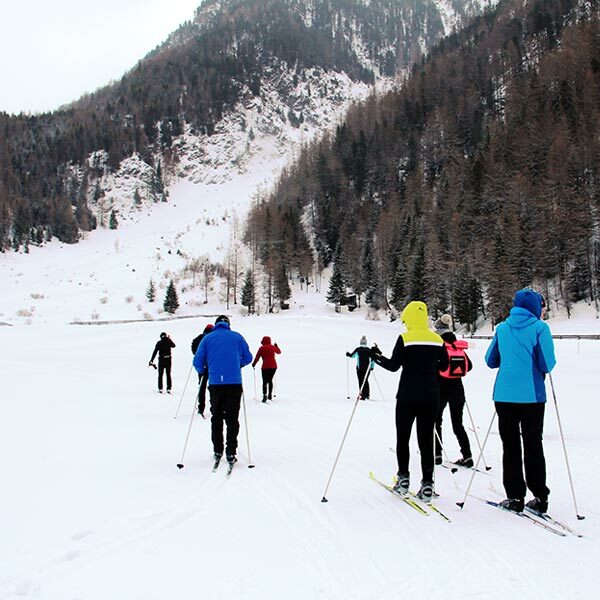 Also a cross-country skiing taster course for young and old every Monday or Sunday from 11.00 am to 12 noon, and a biathlon test every Sunday and Thursday from 1.00 pm to 3.00 pm are already included in the Niederthai Card. Quite bulky, belly down with skating skis that are shorter than classic cross country skis and have a flat tip. I should focus on the target some 50 meters away. Ready, steady, shoot! My shooting leaves much to be desired. It looked so easy at the Olympics on TV, and even in heavy gusts the athletes hit the target. So I make another round, then I try in a standing position. Incredible how heavy the air-rifle is! It’s much easier if the weapon is lying on the holder. Looks cooler anyway! 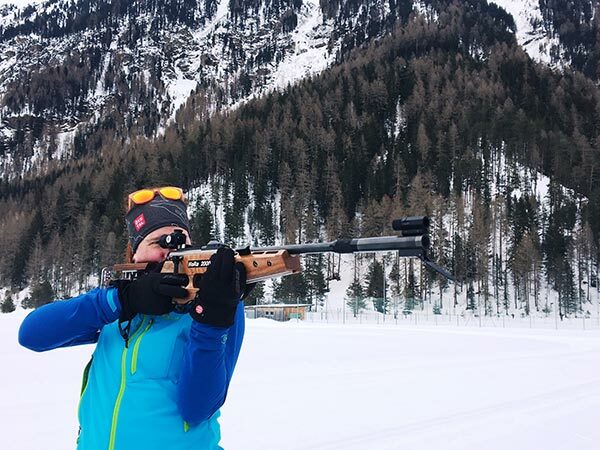 With or without hits: Biathlon is great fun! Even more than the shooting galleries at the fairground stalls, although there are no plush toys or fabric flowers but at least score points. Niederthai is eight kilometers from Umhausen. A switch-backing road with 12 hairpin turns winds its way up to Niederthai, leading from 1039 to 1560 meters above sea level. Take a deep breath, unwind, restore your energy in the rhythm of nature. At first, a couple of novices cling hectically to their mobile phones as a symbol of the umbilical cord to the bustle of everyday life. Only the next day it is cut off and finally they feel safe in this calm place where the air is much cleaner, traffic hardly exists and life slows down. No ski circus, no through traffic, no industry. “We do not join the race for always more and higher slopes,” says Mike. Silence is the sound of the mountains in Niederthai. Only the hammering echoes from the Old Village Smithy where guided tours are organized every Thursday at 5.00 pm. Visitors can even forge their own coin. The village has about 400 residents and some 1000 guest beds – a well-balanced proportion. 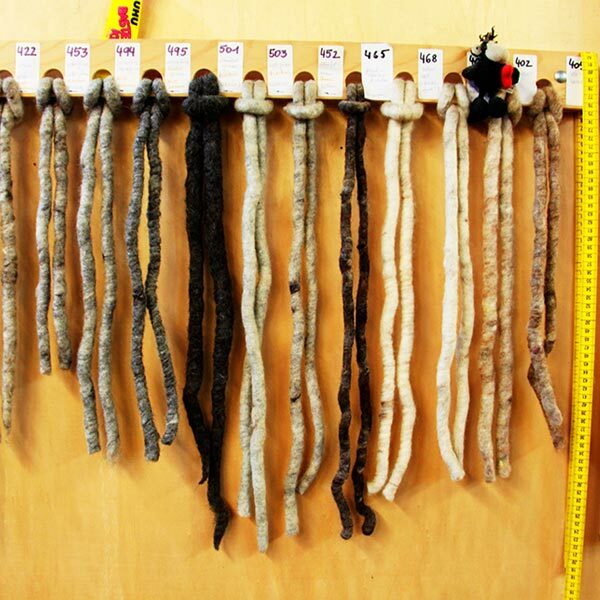 Instead of highlife at the ice bar, we recommend a visit to the sheep wool weaving center in Umhausen where wool is washed, dyed and made into carpets, felt sets and mobile phone cases. Instead of a disco you enjoy an atmospheric lantern hike to the Stuiben Falls – Tirol’s biggest waterfall in the evening. Or a concert by the two local singers Jenny and Melly who play pretty chilled music every Thursday evening at Hotel Falknerhof, one of Niederthai’s three hotels. 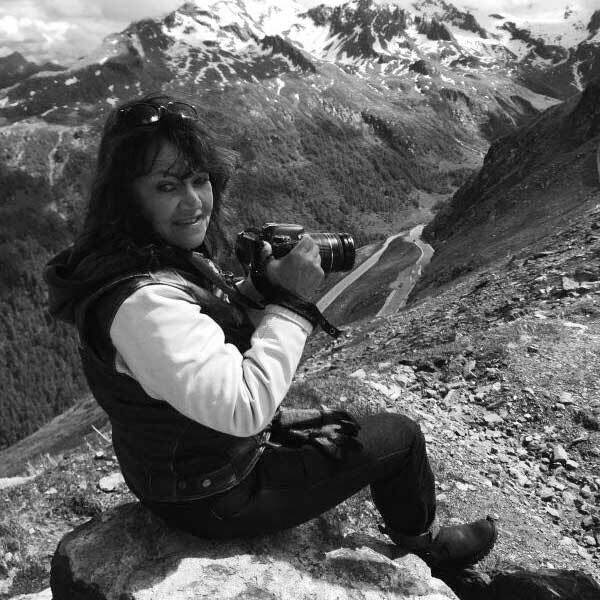 “Many guests come here because of the peace and quiet,” says Steffi Falkner who originally comes from Germany’s Saarland and has remained on the sun-kissed plateau out of love for her husband Peter for more than 20 years already. 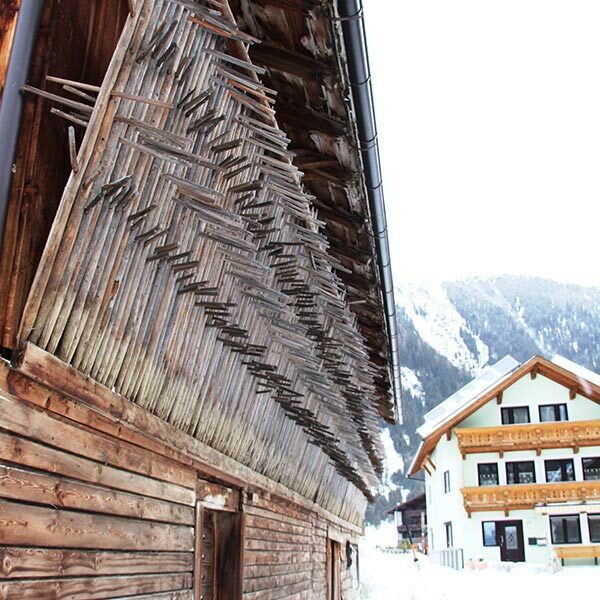 The dishes on the menu are written in both Ötztal dialect and in German. Just like the specialties served in the traditional wooden parlors of deeply rooted Gasthaus Krone in Umhausen: “Cooked Delights” (“Eppas Worms”) such as “Fried goat cheese in a coat of herbs on marinated tomato carpaccio” (“Goaßkas in Kreitorpanade gebochn af marinierchtn Tomatenkarpatchö”). Or one of Ötztal’s undisputed specialties: “Pan-fried pastry sheets with sauerkraut” (“Etztalar Hasnar mit Kraut”). Crips and clean forest air fills the lungs. Mike leads the group over the hill towards the Horlachtal Nordic track. The snowshoes are buried under loads of fresh snow, a new nature treasure is waiting behind every corner. Following Horlachbach brook where toboggan, cross-country and snowshoe trails merge, we have the feeling that we are not alone amidst this winter wonderland. At rustic-style Larstighof we treat ourselves to a mouth-watering blueberry dumpling – an absolute highlight among locals and guests. 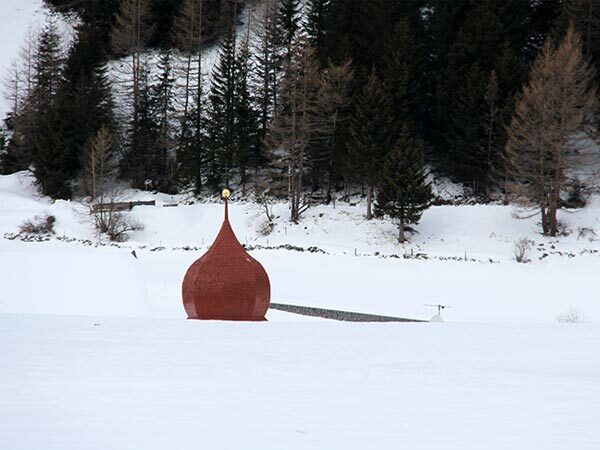 For the way back some prefer to take a toboggan down to the valley. “Just head towards the church tower,” Mike says. Clap spurs to your toboggan and off you go! But we do that all the time anyway in this calm and tranquil place. Guests staying at Niederthai Card Partner Lodgings receive the Card for free. More details about the Niederthai Card are available HERE.